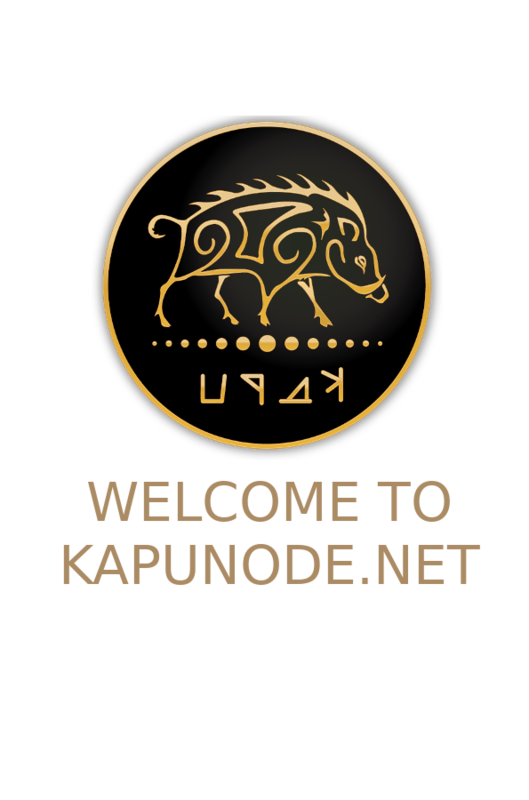 KapuNode.net provide a diversity of services through different subdomains. Always fast and up-to-date downloads. Kapu MainNet Secure Public API Endpoint. Officials and community members guides. Rok Černec (boldninja) How To Vote or Un-Vote an ARK Delegate and How Does it All Work? gr33ndrag0n ArkMonitor GitHub PowerShell stand-alone end-user monitoring for Ark Node(s) and Delegate. Peoples that made a Kapu donation to support this website, the services or my github projects. Please consider sponsoring kapunode.net with a donation or voting gsilvestri.